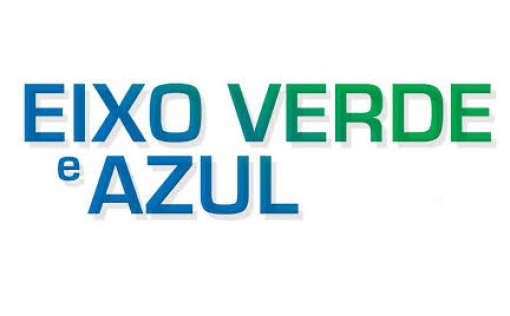 The Eixo Verde and Azul project aims to reclaim and create 100 hectares of green space along the banks of the river Jamor, from Serra da Carregueira to Cruz Quebrada, through the Centro Desportivo Nacional do Jamor (CDNJ). 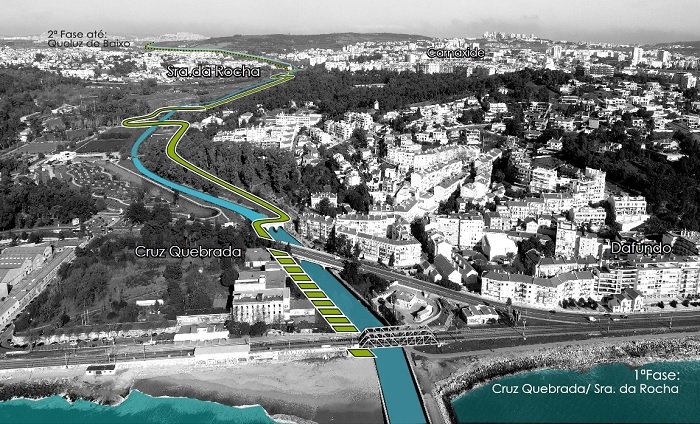 This route crosses with the rail lines of Sintra and Cascais, the IC19 and the A5 highway, reinforcing the sustainable mobility, creating, thus, a pedestrian and cyclable connection so that the population can have access to great natural and landscape spaces. The Eixo Verde and Azul, a joint project of the municipalities of Amadora, Oeiras and Sintra and the Parques de Sintra – Monte da Lua, also has the collaboration of the Centro Desportivo Nacional do Jamor (CDNJ), will facilitate the access of the populations to enjoyment of nature and heritage, through the creation of green spaces and the implementation of a smooth mobility circuit along the three municipalities, always accompanying the river Jamor. The creation of this ecological axis presupposes the requalification of 50 hectares and the creation of 100 hectares of new green spaces along the Carenque river and the river Jamor, from the source in the Serra de Carregueira, crossing Belas and Queluz, to the Tagus, on the Cruz Quebrada. The first phase of work on the Eixo Verde and Azul will take place in the area of ​​Jamor, in the section located between the Passeio Marítimo in Dafundo and Senhora da Rocha (3.5 kilometers) where, in addition to the requalification of the rio Jamor, a smooth mobility course will also be born, which will develop along the river bed and which will facilitate the access of all to the existing sports infrastructures. This is, in fact, one of the concepts on which the structure of green corridors is based, as an alternative mobility structure. This works may cause some inconvenience to our users during the current year, but we are sure that the result will be a real added value for all! You can view a video made for the presentation of this project here.